Hammertoe is a foot deformity that occur most often in women who wear high heels or shoes with a narrow toe box. These types of footwear may force your toes against the front of the shoe, causing an unnatural bending. A hammertoe has an abnormal bend in the middle joint of a toe. 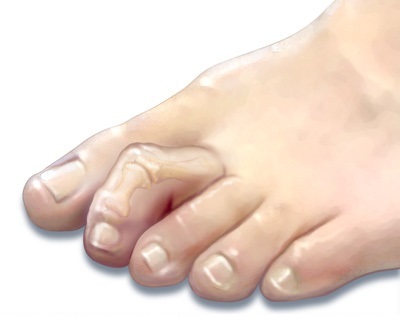 Hammertoe is most likely to occur in the toe next to your big toe. Certain shoes. High-heeled shoes or footwear that's too tight in the toe box can crowd your toes into a space that's not large enough for them to lie flat. This curled toe position may eventually persist even when you're barefoot.